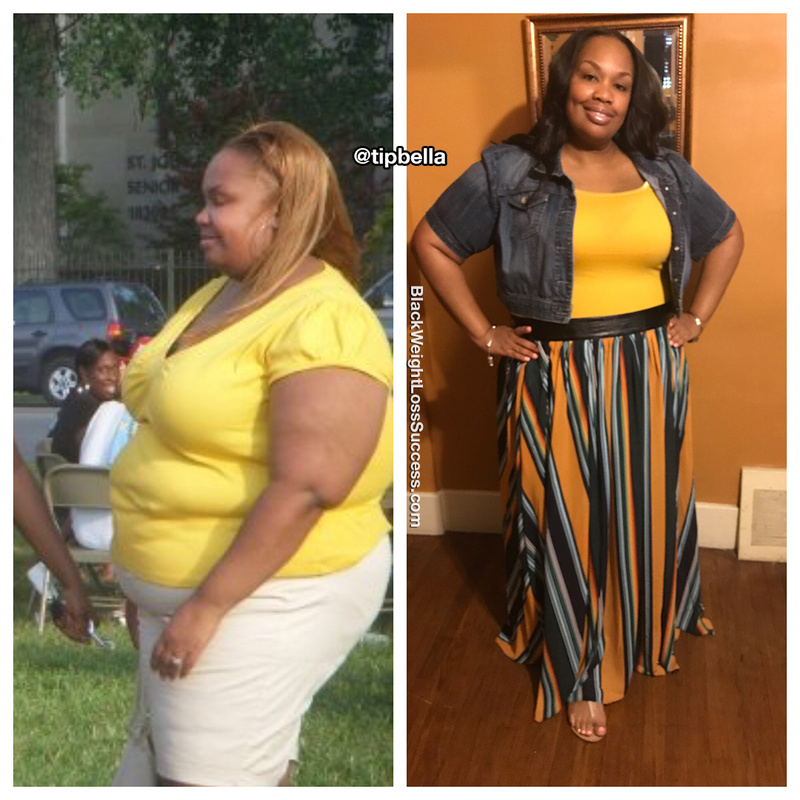 Transformation of the Day: Tiffanie lost 90 pounds, going from a size 24 to a size 16. She was already starting to feel uncomfortable with her weight, when a car accident gave her a fractured ankle. That led to more weight gain. Fed up, she started eating right and working out to release the weight. Check out her transformation. I have always been a plus size girl, but I started to feel uncomfortable. In 2015, I got into a bad car accident that left me with a fractured ankle and back problems. Not being able to put pressure on my ankle for months, caused more weight gain. In 2016, I decided that I needed a change. I began eating right, and started exercising in the morning and at night. I stopped eating fast food and fried foods. I mostly used the treadmill every day. I started off working out for 30 minutes per session and later increased to 1 hour… then 2 hours. My total weight loss is 90 pounds and I’m still going. My clothing size was a size 24. I now wear a size 16. I’m 5 feet, 9 inches tall. I’ve learned that being healthy makes you happier. To anyone trying to lose weight, I would say that it’s a “mind over matter” situation. You have to have a strong mind to see results. Awsome job. Trust the process great job .